Almost exactly two years after Mr. Obama signed his signature health care reform legislation into federal law, the acrimonious dispute between Republicans (who nearly unanimously oppose this legislation) and the Democrats (who generally support the President’s health care reform efforts, even if they are much less enthusiastic in their support than Republicans are in their condemnation) offers a glimpse into the current state of the political crisis of the U.S. bourgeoisie. From the point of view of the need of the U.S. national capital to tackle the rampant waste, inefficiency and general high costs in the nation’s health care system, the law promises to do little more than move some expenses off the federal government’s books. Depending on which “expert” one believes, so-called “Obamacare” will have only a modest positive impact on the federal budget deficit at best. However, even in this rosiest of scenarios, this only happen if all the provisions of the law are fully implemented, something that is in serious doubt at the moment given the political fall-out over the law. This has manifested itself in a very skeptical Supreme Court, which recently heard arguments about the law’s constitutionality from the Obama administration’s lawyers on one side and a coalition of conservative Republican state Attorney Generals on the other. Prior to the Supreme Court’s hearing of oral arguments, most pundits strongly expected the justices would uphold the law on the grounds of the constitution’s commerce clause, which gives the federal government the right to regulate interstate commerce. However, after an almost unprecedented three days of oral arguments in front of the court, the expectations from legal analysts had changed dramatically. Most now expect the court—in a sharp rebuke of the Obama administration—to throw out the law’s central mechanism for “reform”—the so-called “individual mandate,” which would require everyone to buy health insurance or pay a fine collected at tax time through the Internal Revenue Service. Some analysts expect that the Supreme Court may throw out the entire law, dealing a devastating blow to Obama as he gears up for his reelection campaign this summer. As we write, a decision from the Supreme Court is due to be released sometime in June, promising to be a moment of high political drama, regardless of how the court ultimately rules. So what is all this political fuss about? Why are the Republicans so universally opposed to this law? Why do so many claim to see it as a form of “government run socialist health care”? After all the law is fairly mild in its attempts to “reform” the U.S. health care system. This is clearly nothing like the nationalization of health care delivery that exists in other advanced countries. It isn’t even a single payer system. Obama and the Democrats long ago stopped talking about a public health insurance option to compete with private insurance companies. So what is going on here exactly? In fact, the law is so mild that it won’t do very much at all to address the underlying irrationality of health care delivery in the U.S. From the perspective of the national capital, the “reform” of the health care industry is necessary to help it maintain a competitive edge on the world market and shrink its enormous federal budget deficit. It is a well-known fact that among the advanced countries, the U.S. has the most inefficient health care system. Health care is much more expensive in the U.S. than in any other advanced country, yet health outcomes are much worse. According to Fareed Zakaria in a recent article in Time, an MRI that costs $281 in France, costs more than $1000 in the U.S. Despite having the most expensive health care in the world, the U.S. has the highest rates of chronic disease, such as Type 2 Diabetes, which only aggravate the cost pressures on the national capital. So irrational is the health care system in the U.S., that chronically ill indigent patients can often only receive treatment in hospitals where care is much more expensive than at other heath care facilities. A recent episode of the documentary news show Rock Center, highlighted the case of a indigent stroke victim who has been hospitalized for two years at the cost of 2.4 million dollars, despite the fact that her care could be achieved 17 times less expensively at a long term care facility. However, because she has no insurance, and because only hospitals and not long term care facilities are mandated by law to care for indigent patients, she has remained hospitalized. Other well-know anecdotes include the fact that many U.S. companies prefer to locate factories in Canada, where they are not directly responsible for the health care costs of their workers and retirees. Thus, the decline of the U.S. manufacturing sector—something that certain elements of the U.S. bourgeoisie have been complaining loudly about since 2008—is due in some part to the country’s inefficient, expensive and Byzantine health care system. All of this is well known to the main factions of the U.S. bourgeoisie. It is a problem that has been contemplated many times in the past. Yet, it seems the U.S. national capital missed the boat on the setting up of a single payer health care system, when other advanced countries were doing so in the decades following World War Two. Although, the U.S. bourgeoisie set-up Medicare as a single payer health care system for seniors and some disabled people in the 1960s, the U.S. political system has not been able to go past this stage since then. Previous attempts to reform the health care system, such as the ill-fated “Hillarycare” in President Clinton’s first-term, have crashed on the shoals of U.S. politics. Still, the problem remains and it has gotten so damaging to the competiveness of the U.S. national capital that the main factions of the bourgeoisie are finally getting serious about the necessity to do something about the inefficiency and waste in the system, even if that “something” is not a full nationalization of the health care system or the establishment of a single payer model. Steps must be taken to reign in health care costs and get more people to pay into the system. However, the ongoing in-fighting within the bourgeoisie are making these tasks more and more difficult to accomplish. This situation is not novel. As we have pointed out several times in our analyses of the political situation of the American bourgeoisie, the economic crisis has for some time fueled the development of deep and growing fractures within the bourgeoisie as to which policies to put in place to best protect the competitive position of the national capital. However, it seems these fractures themselves are more and more taking on a life of their own, whereby they no longer express real disputes as to which policies are more rational to implement from the point of view of the national capital and do not offer real and viable policy alternatives around which the ruling class as a whole can unify. One example of this in the current ongoing dispute between Republicans and Democrats is that “Obamacare” was originally the Republican answer to “Hillarycare,” and it was first adopted by Republican Presidential nominee Mitt Romney when he was Governor of Massachusetts and proposed by Governor Arnold Schwarzenegger in 2006 in California. However, no sooner had Obama himself adopted it on the national level, as a supposedly politically viable “compromise” proposal, than the Republicans started to call these plans “government run socialist health care.” So far, the only proposal the Republicans have put forward, through the so-called “Ryan budget,” for reducing the cost of the health care system is to completely dismantle Medicare, giving seniors and the disabled a modest voucher to buy health insurance on the open market. Congressman Ryan has also proposed making Medicaid—the complex federal/state program that provides meager care for the indigent—a so-called “block grant to the states,” meaning that states can do whatever they want with the money. It is true that neither “alternative”—Democratic or Republican—would do anything to address the underlying issue of the irrationality of care delivery and the skyrocketing costs of it, since neither addresses the underlying issue of the fragmented private insurance industry, each charging increasingly astronomical fees to offset their health care costs by shifting this burden onto hospitals, who in turn shift it onto insurance policy rate payers and the federal and state governments. However, the Republicans’ proposal could also potentially stoke social unrest by eliminating one of the remaining elements of the U.S. social wage that continues to be supported by wide swathes of the U.S. working-class. Even many Tea Party supporters defend Medicare as a system they paid into during their working lives and which they feel should be there for them when they retire or if they become disabled. Moreover, the main factions of the U.S. bourgeoisie recognize that the Ryan proposals would likely only worsen the problem in the long run. By kicking more and more people out of the health care system costs would likely only rise as people are unable to get preventive care and adequate treatment for chronic conditions until they show up very sick in the emergency room. It is for this reason that some of the more extreme elements in the Republican Party have suggested eliminating the legal requirement to provide basic care. But the main factions of the bourgeoisie likely recognize the social powder keg such a proposal represents. Nevertheless, the entire idea that the Republicans would sink a plan that was originally their own seems to be motivated more by an ideological hatred of the President and the developing tendency of “each for themselves” than by any real concern to address the needs of the national capital. In this sense, the health care crisis has two meanings: one for the ruling class, and another for the working class. For the ruling class it is taking on the seriousness of a political crisis in which it once again fails to act in the overall interests of the national capital. For the working class, it is the expression of the increased pauperization of its conditions of life under decomposing capitalism and the fact the ruling class has no real alternatives to offer it that can ameliorate the growing attacks on its living and working conditions. These attacks are in part manifesting themselves in a highly irrational health care system under which workers face increasing out-of-pocket costs, a declining quality of care and the ever present fear of financial ruin should they get sick or losing access to care altogether if they lose their job and thus their insurance. What will the law do for the working class? The working class needs to see what is lying behind the revolting rhetoric of the two contending bourgeois factions’ ideological diatribe. The Republicans do not hesitate in their proposal for even deeper and more hurtful cuts under the pretense that they would protect Americans against the government’s encroachment on their “private lives” and the supposed “freedom” offered by the American constitution. They claim Obamacare is an attack on “individual freedom,” specifically targeting the law’s provision establishing an individual mandate, which would force individuals who do not receive employer based health care, Medicare or Medicaid to purchase private heath insurance regardless of whether they wanted it or not. In their view, “individual freedom” means having the choice to refuse purchasing a product from a private company, even if that means tax payers will pick up the bill if you show up in the emergency room suffering from a grave injury or a terrible illness. The Democrats, being more subtle and sophisticated, find it necessary to lace their attacks with the grace of a few crumbs thrown here and there in order to better sell the legitimacy and “humaneness” of the law. Herein is the meaning of parts of the legislation that may appear on the surface to be “true reforms,” such as the elimination of denial of coverage due to pre-existing conditions, the ability of parents to carry their children on their health insurance until age 26 (but, of course they’ll have to pay for this in the form of higher insurance premiums), or the expansion of coverage to a large number of presently uninsured Americans, either through a modest expansion of eligibility for Medicaid or through the individual mandate. But these, rather than accounting for real reforms, are actually cuts and measures of austerity against the workers, and will do little to improve the quality of health care for workers and their families. The aim of the current health care legislation is in continuity with this policy of pushing the cost of health care onto the working class by making those who have no coverage purchase their own private policies. 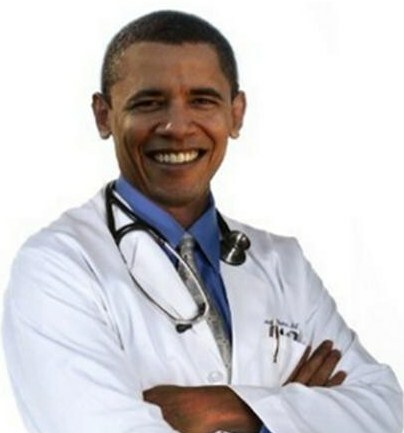 The architects of “Obamacare” claim that they are doing this in order to get more people paying into the system and to prevent “free riding.” After all, they argue, there is no such thing as a “free lunch”—either you pay for health care by buying insruance, or as in most other advanced countries, you pay for it through increased taxation. In a sense, this is in fact a rationalization of the system by getting more people to pay into it, but politically it has proved a tough sell. Whereas the other advanced countries tend to finance their systems through general taxation, where the cost of care is hidden in a myriad of different taxes paid throughout the year—Obamacare would see people pay up front for insurance to a private insurance company that would continue to play the same old games of denying coverage, raising premiums, etc. as they do now. Either that, or Americans will have to pay a fine to the IRS! The rather clumsy and unwieldy mechanisms undergriding Obamacare seem to have doomed it politcally from the start, as polls continue to show a majority of Americans opposing it, even as they support indivdual aspects of the law, such as the elimination of denial of coverage due to pre-existing conditions and the ability of parent’s to keep their kids on their insurance plans untill age 26. The pundits tell us that, “Americans seem to want universal health care, they just don’t want to pay for it.” Hmm, and they tell us Americans will never go for communism! However, we should make no mistake about it, the U.S. capitalist state’s concern in regard to health care reform is not to improve the quality of working people’s lives, its to regulate the impact of the uninsured on the coffers of the state and get the irrationally high cost of health care in the U.S. under control. Notwithstanding, the measures contained in the various provisions of the Affordable Care Act will not be able to address the issue of the insurance companies charging astronomical fees because doctors and hospitals do the same thing to offset the cost of caring for the uninsured. In fact, it is important to point out that of the fifty million people currently uninsured, only about half of them would obtain coverage under the law. Care will not delivered at all to the ones who will continue to be uninsured. In addition, the cost of litigation, medical tools, and pharmaceuticals also is not addressed by the law. It is a known practice by doctors and hospitals, for example, that more diagnostic tests than necessary are often prescribed in order to avoid the risk of being sued. It is also a well known practice of the insurance companies that they shift the cost of hospital bills for the uninsured onto the premiums and fees of insured workers. This will not change significantly because, as already pointed out, about thirty million people will continue to be uninsured. In the end, the law ultimately fails in its reticence to challegne the existence of private health insurance companies in the U.S and its inbaility to agressively counteract the “fee for service” delivery model that characterizes U.S. health care. Although, it is true that the law contains certain provisions that would work to counter some of the more egregious billing practices of doctors, hospitals and the insurance companies—such as promotion of a “bundled care” model, under which doctors and hospitals receive one payment for a specific condition, rather than charging for each various and sundry service and consultation—these will likely only amount to half measures that will keep the fundamental ineffeciencies in place. Moreover, its not hard to see what a “bundled care” model would do to the quality of care you receive. Under captialism, the old adage, “you get what you pay for” applies to health care as much as any other commodity, regardless of the percentage of the population who think access to health care should be a human right. And yet, even this “reform,” as modest as it is, is on life support after its day in the Supreme Court, a victim of the increasingly bizzare world of U.S. politics. Is this law a “reform” for the working class? The clear answer is “NO”. So, what will this “reform” do? The first obvious thing to note is that the Congressional Budget Office projects that the legislation would reduce the federal budget deficit by $143 billion over the first ten years, and by $1.2 trillion dollars in the second ten years. With the claims that the cost of the law would be $940 billion over ten years and that coverage would be expanded to 32 million Americans who are currently uninsured (the actual number is closer to 50 million) one is right to ask: how are the savings possible? Essentially, the cost will be shifted to the working class through a combination of increased out of pocket expenses and cuts to benefits. All the talk about how insurance companies face fines if they don’t reduce their overhead costs, or how pharmaceutical companies and medical tool manufacturers face a 2.3 percent tax, or how in 2013 individuals who make more than $200,000 a year can expect a tax hike, do not represent a significant shifting of the cost of care onto the wealthy or the propertied class. Mostly, these are measures put in place in order to try and quell the sense of indignation that an overt attack against the working class may raise. The fact of the matter is that the major provisions of the law will roll out in 2014, with the expansion of Medicaid and the enforcement of the “Individual Mandate”, and in 2018, with the establishment of the excise tax. Each one of these provisions constitutes a lowering of the standard of care, or a cut in benefits, or an increase in out of pocket expenses, or any combination thereof. The hurt inflicted on the working class in the form of cuts to benefits and increased out-of-pocket expenses will be painful. Shifting the cost burden to the working class at a time when its wages and benefits are already spread thin will result in a further impoverishment of the working class’ standard of living as many people will not be able to afford buying insurance while not qualifying for federal subsidies under the individual mandate provision of the law, while others will simply be dropped by their employer-sponsored health care. This is because the provision requires employers with more than 50 employees to provide health insurance or pay a fine of $2000 per worker each year if any worker receives federal subsidies to purchase health insurance required through the individual mandate. But the health care provided by an employer will be subject to a 40 percent excise tax as of 2018 if it is worth over $27,500 for families or $10,200 for individuals. According to a conservative estimate, 5,000,000 workers will lose their present employer-sponsored insurance under this provision as their employers gross up their salaries for them to be able to purchase coverage through an exchange, a cost less than providing health care insurance. For others, their employers will simply provide an inferior, cheaper health care package as they try to bring the cost below the threshold amount. This is certain to backfire in the long run in the form of inferior coverage which won’t be able to address medical needs adequately. It is possible to envision the increased reliance on emergency room care as a direct result of the urge to reduce health coverage. Medicaid will be “expanded” to cover most low-income people—defined as a family of four making $30,657 or less each year—under age 65. But the expansion of Medicaid will result in a poorer standard of care as well, which, in the long run, can only lead to increased health problems both in terms of the numbers of the sick and the seriousness of their sickness. It is already difficult to find doctors and hospitals that want to treat Medicaid patients because Medicaid does not pay doctors and hospitals very well. Spreading thin an already-strained program will likely make the care provided inferior. Since the law does not meaningfully address the issues of the continued existence of uninsured people and the added numbers in this category as employers likely drop employees from their coverage, it is not likely that the federal subsidies given to the states in the wake of the law will adequately fund the states’ added financial needs. This is why, while appearing to be an “expansion” of an existing federal program, the measure amounts to a straining of the program, which will in all likelihood lead to a lowering of the quality of care. What the provision will “expand” is not health care, but its impoverishment. In the long run, this will backfire against the present efforts to contain health care costs. Already, anticipating having to care for many more patients who do not have adequate funding either from subsidies or in the form of personal income or a decent health insurance policy, hospitals and doctors are producing lists of diagnostic tests that they say they will no longer provide. The criteria for the decision are a matter of budgetary concerns, and are not based on what is medically necessary to do for the sick. The capitalist state will fund the “expansion” of health coverage largely through the individual mandate. This requires that every uninsured person that does not qualify for federal subsidies for the purchase of health care, purchase it or face a $695 annual fine or a fine of up to 2.5 percent of their taxable income, whichever is greater, starting in 2014. Anyone on a low income will rather pay the penalty than pay for health care out of pocket, which is much more expensive. In this case, not only will the person continue not to be insured and therefore rely on emergency room care, but the penalty will punch another hole in their pocket. Of course, for those who see the Republican clap trap for what it is, there is always the far left of the Democratic Party, with their vision of “Medicare for all.” Of course, what proponents of this idea fail to mention is that the much vaunted Medicare program—along with Social Security part of of the so-called “third rail” of American politics—is under serious threat of insolvency. Moreover, as those on Medicare will tell you, it hardly constitutes free health care. Medicare beneficaires generally have to pay a monthly premium for coverage, are subject to annual deductibles and a 20% co-insurance. Many Medicare beneficiaries find health care simply unaffordable without purchasing an additional supplementary insurance plan from a private company! Even with these “cost sharing” features in place, many doctors and hospitals grumble about treating Medicare patients due to the program’s low-reimbursement rates—rates which are seemingly held political hostage in every confrontation between Democrats and Republicans over the federal budget, as legislators struggle to pass laws maintaining current Medicare reimbursement rates to doctors and hosptials. So frustrated has one world-renowned medical center—the Mayo Clinic—become with Medicare, that they no longer accept Medicare assignment and have stopped seeing Medicare patients altogether at their Arizona facility. Republicans hotly contest Obamacare, but their contestation is not based on considerations of what is good health care for us. Their protestations have nothing to do with any sense of worry for the fate of the working class and the more vulnerable sectors of the population. They claim that their consternation is the result of what they see as the inability of the federal government to reign in the cost of care and address the federal and state budget problems. But, their “counterproposals” are nothing but a set of drastic austerity measures which would accelerate the already existing tendency toward a poorer standard of care with its attendant problems of an ever greater pool of sick people who don’t get treated before their ailments become too costly. This alternative is simply unacceptable from the point of view of the national capital since it does nothing to address the fundamental problems of having to reign in the cost of health care and, not insignificantly, it may stoke social unrest. While their concerns may well be based in the perceived increasing fragility of the capitalist state’s financial health, their “alternatives” are really nothing more than a war against their enemy faction rather than serious attempts at unifying the ruling class around a set of rational and viable policies. This is the first time in the 47-year history of the Medicaid program that the Supreme Court, under the pressure of the Republican faction, has had to deliberate on whether the expansion projected in the new law is unconstitutional, while in the past the program was extended to women, children, and the disabled without opposition. The legalistic posturing of the various bourgeois factions, and the continuous mudslinging across party lines is an expression of the growing political decomposition of the American ruling class. As the rather unexpected debate over the health care law in the Supreme Court showed, the increasing “politicization” of the judiciary amounts to a challenge to dominance over the state by the executive and thus a challenge to the very foundations of the state capitalist apparatus itself. By all measures, in a more or less healthy state capitalism, the Supreme Court should defer to the expertise of the executive branch in proposing legislation and policies that are designed to protected the overall interests of the national capital. The judiciary should be subordinated to the executive. Although the Supreme Court resisted some aspects of FDR’s attempts to build American state capitalism as a response to the Great Depression, since then the court has generally deferred to the policy aims of the main factions of the bourgeoisie. In fact, the Supreme Court has often taken a direct role in pushing through certain policies in the overall interests of the national capital that have been resisted by recalcitrant factions of the bourgeoisie, such as desegregation in the 1950s and the 1960s. However, as the recent Citizens United case showed, today’s Supreme Court, with a majority of conservative justices, tends to act as an agent of political reaction rather than a venue to give the policy preferences of the main factions of the bourgeoisie a veil of constitutional legitimacy. The spectre of the Supreme Court throwing out Obamacare AND upholding Arizona’s punitive anti-immigration law (see article in this issue) must be of great concern to the main factions of the U.S. bourgeoisie. On purely ideological grounds, the Supreme Court has a clear opening to uphold Obamacare. It could accept the “free-rider” argument put forward by the administration and decide that the state can force people to buy a private product as to not do so corrupts the health care market as people would wait until they became sick to buy insurance. However, from the transcripts of the oral arguments released, it appears that the conservative justices on the court are not happy with this argument and some appear to have simply gone over to right-wing ideological rigidity, citing simplistic Republican talking points in opposition to the law from the bench. Its not only the politicization of the judiciary that is a threat to U.S. state capitalism, but also the decreasing level of intellectual rigor on the part of the justices, many appointed to the bench not because they are great legal minds or flexible adjudicators willing to apply the law to fit the concrete challenges facing the national capital, but because they fit narrow political and ideological criteria or make a certain constituency happy. This is not the Warren court that overturned school segregation and legitimated the attempts by the main factions of the bourgeoisie to mitigate the overtly racist image of the nation. In the era of Thomas, Scalia and Alito corporations are people, money is speech, and forcing people to buy health insurance is the same as forcing them to eat broccoli, regardless of the implications for the ability of state capitalism to govern in the interests of the national capital. This situation of political decomposition has been in operation for a number of years already, and the present economic crisis is aggravating it, making it more and more difficult for the ruling class to strategize on what policies best suit the needs of the national capital, and agree on which political team can best carry them out. These divisions make the orderly, disciplined functioning of government more and more fragile and have turned the political landscape into a turf war littered with the most ugly ideological landmines. In the context of the health care law, this situation has created so much conflict that it even threatens to undermine whatever legitimacy the public continues to have in government by contributing to its disaffection and doubts as to the vaunted benefits of either the reform or its repeal. The law is so extremely confusing and complicated to understand as a result of the many tweaks that have already been made to it that it is difficult for anyone without an advanced degree in public policy to know exactly what it will do. The law have already been changed over the course of the last two years, leaving the public puzzled and suspicious as to which parts of the law that may look “progressive” today, will be rescinded to leave the most vulnerable people out in the cold later. The present economic crisis is lacerating the unity of the ruling class, pushing the two parties to confront each other instead of forming a coherent and unified strategy in face of the crisis. The political crisis of the ruling class is reaching the point of paralysis: it is making it more and more difficult to pursue state capitalist policies that may at least afford a little respite to an ailing capitalism. This should make it clearer for the working class that preserving any more illusions about the viability of capitalism or its ability to bring about real, durable reforms amounts to giving in to the most brutal conditions of impoverishment and de-humanization. In fact, Schwarzenegger’s plan went further than Obama’s in that he recognized that in order to bring health care costs down, the state would have to extend some coverage to illegal immigrants, otherwise they would continue to get their health care treatment at expensive emergency rooms. For this reason, coupled with the individual mandate, Schwarzenegger’s plan to reform Californian’s health care system went nowhere, stymied by opposition from his own party. Romney had better luck in the traditionally Democratic state of Massachusetts. Undoubtedly, many in the Tea Party caucus believe the ideological silliness about liberty and freedom, but it is hard to believe the Republican establishment has any principled problem with creating a giant captive market for the insurance companies.